Hey friend, so today was a big day for CBD and I want to share the news! 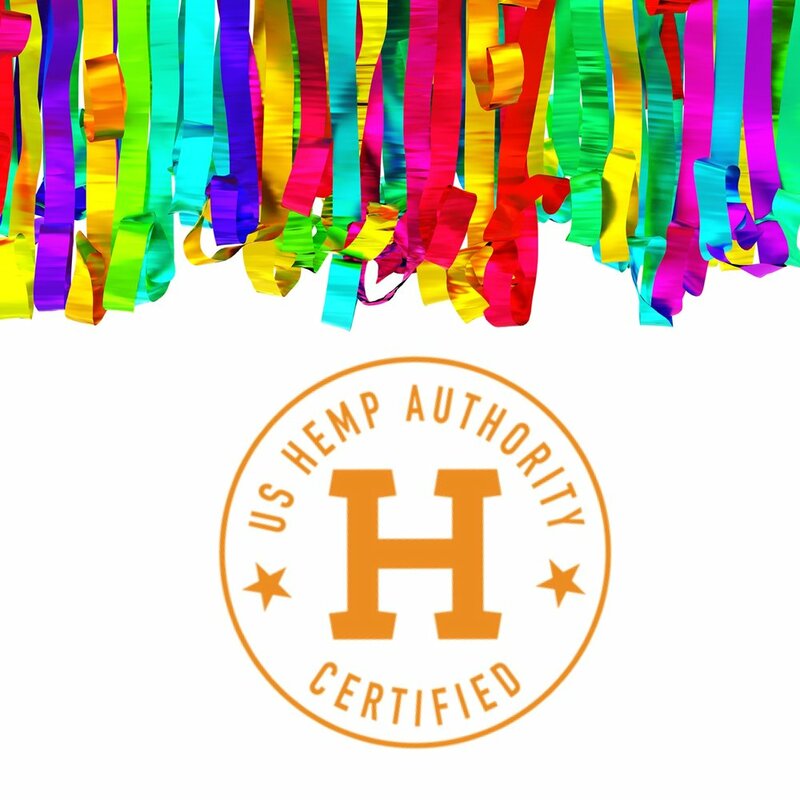 U.S. Hemp Authority Announces First Authority Seals, and Hempworx was on that list. We had heard it was coming a few months ago, but now it’s official. Even in our town, we see several companies offering CBD oil for sale and I’m always amazed at their color, labeling and price. I even saw an bottle in a clear bottle (big no no), no ingredients listed, and the oil was pink. Pink! It was also very overpriced. Scroll down to see my recommendations on what to look for when picking up this oil. As for the big announcement that I’m so excited about…check out the list of get the full details: here! Hooray for Hempworx! Many have questions and others might be afraid to ask about this amazing oil. Let me answer the top questions for you. If you don’t see the answer to your question below, reach out and I will find the answer for ya. NO! Although Cannabidoil comes from the same plant, HempWorx is full spectrum (meaning we use the whole plant), it is NOT marijuana. You will not get HIGH, you will get HEALTHY. This oil comes from industrial Hemp. HempWorx Oil (full spectrum)contains less than 0.03% THC and is considered food grade. We also offer a THC FREE (isolate) peppermint CBD. YES. Some states have laws governing stores stocking, shelving and selling CBD oil. The use of CBD oil for personal consumption is 100% LEGAL and our business is based out of Nevada. Just like Amazon, perfectly legal to order online and consume CBD oil - again, it's considered a food. Most people (children included) use the 500mg. For those with chronic pain or multiple health issues, the 750 mg is stronger. Yes. You can order a sample pack that includes 500mg CBD Oil both natural and peppermint flavors, Relief Cream, Renew Cream and Revive Cream. Best delivery method is under the tongue. That way it gets into your bloodstream more quickly. You want to start slowly with 5 drops twice a day for the first week. After that you can increase to 7-10 drops twice a day. For most people the 7 drops is perfect but some need to take 10 twice a day, it's up to you and the relief you get at each of those servings. Use a mirror to count the drops as you place under your tonque or use a spoon to count them out. Yes - many people do both oral and topical applications for conditions like for skin conditions. With our warehouse / office in Las Vegas, orders are arriving in 3-4 days. I found CBD oil cheaper somewhere else, what's the difference? HempWorx has the purest form of CBD oil with only 1 ingredient - CBD Oil. Check the label of anything else and you will tons of added ingredients which actually weaken the CBD which means you have to use more. There remains a trace amounts of THC in our full spectrum oil. All of our products comply with all regulations regarding minimal THC content, and our full-spectrum hemp oil contains less than 0.3% of THC by volume, as required by law. We also offer our THC FREE isolate peppermint CBD which guarantees you will not fail a drug test. Me of course! Takes 5 minutes! Click this button to go to my website. The CBD industry is booming and I’m excited to be a part of it! Forbes predicts the CBD industry will grow over 700% by the year 2020. If want to be part of the industry I can’t blame you! Hempworx has impressed me from day one. Their commitment to quality, training, compensation plan…all of it! When I left my previous network marketing company, I didn’t think I would ever be a partner with another company. I have been able to be a messenger of hope and healing to those around me and I have built an income using ONLY my smartphone. Ready to do the same? Take the free biz tour and see for yourself.